It facilitates communication between parents, teachers and students in general, as well as serving as a form of monitoring, where we parents can verify the activities of our children in the classroom, through the teacher's publications.You can access it from anywhere using the apps and I like to comment on the posts.It provides several options for parents, teachers, even camps, i.e. it adapts to your requirements...It's not just a social network, it's a community where in addition to interacting you get advice on the care of our children and information on managing various situations and issues in general. I really don't find any negative aspects to this tool, it is functional and motivates me to get more involved in the daily aspects of my daughter's education. I give my opinion as a mother ,it is extremely effective in getting more information about the school activities carried out by our children ,and even allows for more interaction between the group of representatives...As parents we can suggest to our children's teachers that they use or practice this tool. Provides the opportunity to actively engage in the educational process of our children, allows us to visualize the activities that are carried out and strengthens the relationship and increases communication between parents or representatives of students and teachers. I love being able to connect with my child's teacher in real time.Being able to receive pictures. When my child is misbehaving i know what happened when its happening and always being aware of all school functions. I would highly recommend this app to any school that is looking to keep in contact with parents. Having parent to teacher communication without having to have phone numbers or the teacher being able to send a generic message will save time and make the teachers job lot easier. This benefits the teacher and parents because its keeps both informed and up to date daily. Teachers and parents are able to share ideas and make sure that both are always aware of school functions, grades and homework. What Classroom Messaging solution do you use? "Great for beginners and the tech savvy teacher!" Bloomz is very easy to use for both parents and teachers. Parents can download the app and feel secure in messaging the teacher. At this time, there isn't anything I find wrong. Take the time to learn all of the features available! Bloomz makes communication between home and school more convenient and has many tools that are actually beneficial to teachers and parents. 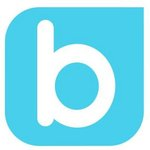 "Bloomz- Great App for Parent Communication!" Bloomz helps connect you with parents. Homework, events, volunteer sign ups, scheduling parent conferences, and making online portfolios for parental viewing are just some of the great ways to engage parents in the child's learning. Parents have given positive reviews about tre Bloomz app and the various activities which can be done in it. Easy to communicate and ask for volunteers. I can keep track of all the after-school activities I have planned with my local homeschool group. Nothing so far. I like everything so far, but time will tell. I am able to keep all of my daughter's afterschool activities organzied she has with her local homeschool group. We can keep track of who is attending and how many. We can communicate with the parents of all her friends and keep track of everyone in the group. "Great way to keep parents informed! " As a teacher, I love that I can send out whole group and direct messages easily to parents. My favorite part is scheduling conferences. No more sending home notes. I can easily cresta time slots on the app and my parents can sign up digitally. This makes life so much easier! I wish there was a translating piece built into the app so that I could easily translate messages. Everyday communication with parents. Sign up lists. Conferences sign ups. "Nice to keep up with the kids"
I like that I can see what is going on with my children straight from their teachers on a more daily basis. I like being able to communicate with my kids teachers as well. The app leaves a little to be desired. I don't know of a way to sink the calendar events to my own google calendar. It solves the problem of organization with students, teachers, and parents. I love the versatility of ways I can communicate with parents. I can upload photos, post events, monitor behavior, privately message parents, and others. Sometimes there seems to be a lag of time of when a message is sent and when it can be viewed. I have realized how much better I can communicate with the parents of my elementary school students. "Great way to share directly from teachers to parents." I love that the teachers can post homework and photos if wht the class is doing. You can even message the teacher directly. It is a fantastic resource for parents and teachers. Nothing it is very easy to use. You can download important papers and share pictures. This is helpful when your child forgets homework or was out due to illness. It is also a community for parents to talk with one another. * We monitor all Bloomz reviews to prevent fraudulent reviews and keep review quality high. We do not post reviews by company employees or direct competitors. Validated reviews require the user to submit a screenshot of the product containing their user ID, in order to verify a user is an actual user of the product. Hi there! Are you looking to implement a solution like Bloomz?